Google Wave. Can you imagine? I'm sure you've all heard of Google Wave by now, but for those who haven't, think of a hybrid email-chat-collaboration program all rolled into one. Participants can message back and forth on their own time like email, but it's also much more than that. As you type, your keystrokes are streamed in real-time to everyone else, letting them read what you write as you write it. Couple that with the ability to comment and edit others' comments, and what do you get? I'm not sure, but we'll find out soon enough. I don't have any earth-shattering insights about how this product is going to revolutionize how we communicate (or fail completely), but I would like you to consider one scenario. Imagine a group of Digg (or 4chan or reddit or...) users, all getting onto a wave at once. They'd be able to fight for the top, change each others' comments to include even more memes, spam, complain, and of course mock, and all in real-time. Pedobears would be flying, grammar would be mutilated in the name of speed, and still people would be replying in anger to posts not even finished. Would it be fun? Quite possibly. Carnage? Undoubtedly. Welcome to the internet, Wave. 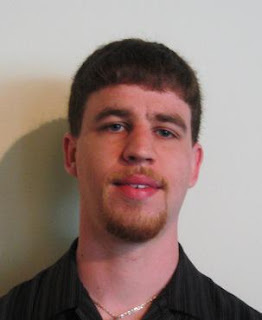 I'm Eric Burnett, a software engineer at Google. I'm interested in studying what makes programmers tick, and writing whatever code strikes my fancy. Read my about me for more. All code on this site is licensed under the Creative Commons GNU Lesser General Public License unless otherwise stated.